Release of China economic data conclude Bursa Malaysia open's high. Bursa Malaysia opened higher today in tandem with its Asian peers, taking the cue from the firmer Wall Street market last week ahead of the release of China's economic data due later today. At 9.05 am, the FTSE Bursa Malaysia KLCI (FBM KLCI) added 0.37 of a point to 1,767.33 against last Friday's close of 1,766.96. The benchmark index opened 0.45 of a point lower at 1,766.50. On the broader market, gainers led losers 122 to 78, with 156 counters unchanged, 1,486 untraded and 34 others were suspended. Alliance DBS Research said the market saw selling activities last Friday which resulted in the benchmark index falling below the 1,770. "We are seeing presently, likely to be more of a dip because the decline from the high of 1,782.32 has not gone below the previous low of 1,750. "A break of 1,750 level will confirm the significance of the sell-off. Following the down close on last Friday, we should see selling attempt again with immediate support at 1,760,” it said. Of the heavyweights, Maybank fell four sen to RM9.65 and CIMB eased three sen to RM6.77. Tenaga added four sen to RM14.24 and Petronas Chemicals improved one sen to RM7.03. Public Bank and Sime Darby were flat at RM20.58 and RM9.41 respectively. Among active counters, Dagang Nexchange and its warrants added half-a-sen each to 45.5 sen and 22.5 sen respectively and Bioalpha Holdings and its warrants gained one sen each to 26 sen and 15.5 sen respectively. Hubline was flat at six sen. 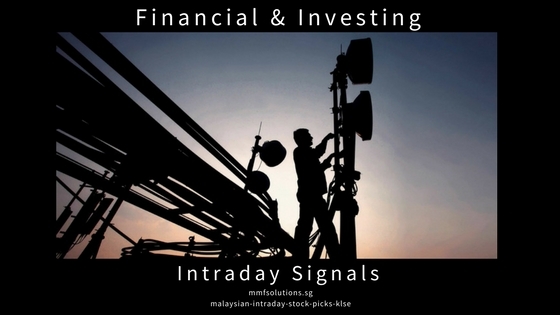 The FBM Emas Index rose 11.98 points to 12,514.42, FBM 70 gained 28.69 points to 14,722.24, FBM Emas Shariah Index added 21.20 points to 12,633.67, FBMT 100 Index increased 7.65 points to 12,183.57 while the FBM Ace decreased 29.07 points to 6,279.71. Sector-wise, the Finance Index gave up 29.36 points to 16,688.50, Plantation Index rose 4.73 points to 7,792.58 and the Industrial Index up 1.82 points to 3,235.92.